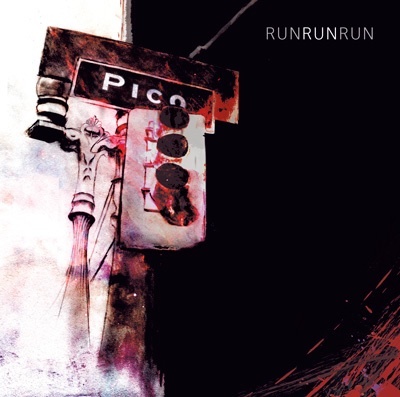 RUN RUN RUN makes available their new full length, “PICO”. After 2 straight years on the road, RUN RUN RUN took most of 2009/10 off to record these 11 new tracks; including “On and On” which is currently being played KROQ in Los Angeles. The title track, “Pico” was featured as “Top Tune of the Day” on KCRW. These songs were written and then test driven all around the U.S. before going in to record. Legendary musician and producer, Herb Alpert provided the band’s co-producer, Mike Harrison, with his vintage API console that had been housed at the famous A&M studios. The sound of the new record is big, thunderous, crisp and classic. Rx3 is now a 5 piece, having added keys to this record.